I am tired of his bull****. The first post on my blog was about John Cook (the propietor of Skeptical Science) lying about evidence. He fabricated a quote in an article he wrote, and to this day, he has made no effort to correct it. He hides behind the excuse he has no editorial control at the site the article was published at, but that’s bogus. Even without editorial control, he could make an effort. He could contact the people who do have editorial control. He could publicly request a correction. He could show he actually cares about accurately reporting facts. But whatever. The past is the past. Only, a month later I found out Cook had fabricated another quote. Cook never did anything to address that issue. It was discussed at the most popular climate science blog in the world, but maybe he just didn’t hear about it. That’s what I assumed when I checked Skeptical Science and saw a new post including the same fabricated quote I had criticized a month ago. Then I looked further. I happened to find a blog post discussing my criticism of this fabricated quote. The post was critical of me, but it did accept the quote I referred to was a fabrication. That wouldn’t have meant much except one person who commented on that post was Rob Honeycutt, a core member of the Skeptical Science team. Not long after, I found Honeycutt had sent a link to that post to another person (Richard Tol). Naturally, I was curious. If a member of the Skeptical Science team knew they were using a fabricated quote, even directing others to an article acknowledging it, why hadn’t he told his team? And if he had told them, why hadn’t they done anything? The comment disappeared. No moderation note was posted. No explanation was given. No answer to my questions was offered. A comment with nothing but direct, relevant questions about why a fabricated quote was used in an article was deleted. So that settles it. When someone starts deleting comments to censor people who point out they’re using fabricated quotes, there is no charitable interpreation. All there is is the conclusion John Cook is a filthy liar. Public perception (55%) comes from a survey conducted by John Cook on a representative USA sample, asking the question “How many climate experts agree that the global warming we are witnessing is a direct consequence of the burning of fossil fuels by humans?” Participants were requested through professional survey firm Qualtrics. That’s it. No publication information. No link or reference. No data or supporting documentation. Nothing at all other than John Cook’s word. I can’t imagine a world in which that should that be enough from anyone. I certainly can’t imagine why anyone should be expected to trust Cook’s description when he makes **** up time and time again. The quote “reposition fact as theory” is a strange bastardization of the widely reported quote which said “reposition global warming as theory (not fact).” The two are dramatically different. If one does not believe global warming is a fact, repositioning it as a theory is perfectly reasonable. However, repositioning something one accepts as fact as merely a theory is not reasonable. It’s dishonest. I was never inclined to give alms to those losers to begin with, but this kind of thing is dispositive. It takes away their charity status and puts them on an FBI watchlist. Have you tried tweeing @nevaudit directly and asking what he thinks about such shenanigans? You might get a smartass Chewbacca-related evasion out of him, or might by freak chance touch his conscience. I was considering doing that. I was also considering directly asking members of the Skeptical Science team how they feel about it. I know Rob Honeycutt is on Twitter (@robhon) and have mentioned him in a number of Tweets about this topic. Andy Skuce is also on there (@andyskuce). I’m not sure who else is offhand. More importantly, now that I’ve taken some time to “cool down,” I intend to e-mail John Cook directly. It’ll be interesting to see what, if any, response I get. I don’t know I’d agree with the rhetoric of “FBI watchlist” (though many less disreputable groups wind up on FBI watchlists), but this is definitely the sort of thing which should tank anyone’s credibility. They apparently feel they can actively censor people to cover up their use of fabricated quotes. That’s obscene. There’s a stench around that site. I’ve known they censor comments for quite a while. I’ve posted about it before (even explaining how it led to me being banned). I suspect most people have seem similar postings. This is different though. Censoring is one thing. Censoring to cover up fabricated quotes is another. By the way, I’ve sent an e-mail to John Cook and have sent messages to the Skeptical Science members I know are on Twitter. I don’t know of any other avenues of communication I can try (I’m not going to dredge up e-mail addresses from their leaked forum). I also don’t know if I’ll get any responses.
.@Corpus_no_Logos Here's a suggestion: if you want to engage people, don't call them "filthy liars" or accuse them of libel.
.@andyskuce It's cheeky to engage in libel then suggest to people if they want to engage with you, they not point it out.
.@andyskuce Anyway I don't see what me accusing you of libel or calling Cook a filthy liar has to do with you addressing fabricated quotes.
.@andyskuce Surely, no matter how distasteful a person you may find me to be, fabricating quotes is still wrong. No? I don’t expect he’ll respond any further. While that’s a shame, we at least now have confirmation two different Skeptical Science team members know about this issue. A third does as well unless it was Rob Honeycutt or Andy Skuce who deleted my comment. It’ll be interesting to see if anything happens. Apparently there is a discussion of this post going on over in the Skeptical Science forums. I know the people there probably aren’t happy with this post. Neither the contents nor the tone are likely appreciated by them. Still, I’m hoping some of them might come over here and comment. They’re definitely welcome to. Keep chipping away. They’ll realise they’ve lost their last shreds of credibility soon enough. I pointed out their mislabeling of the y-axis of a cloud cover change graph years ago to Cook by email. Still wrong. SkS Cook-ing the books again. Tut tut. My problem is I know Skeptical Science is considered a valuable resource by many people. For example, it’s been used by members of the United States Congress. That’s disturbing. A site which engages in blatantly dishonest practices, such as censoring comments to cover up the fact it used a fabricated quote, should not be considered a good source for informing nations’ leaders. Anyone leaning to the skeptic side is likely to doubt, if not reject, Skeptical Science’s credibility, but that still leaves a lot of people who’ll accept it. Plus, that dishonesty is part of the fuel behind papers published in scientific journals, such as the ridiculous Lewandowsky papers. Then again, if my experience with Richard Tol is any indication, people will accept practically anything that agrees with ideas they like. Almost nobody on the skeptical side criticized Tol for spouting obvious nonsense because he criticized Cook et al. Maybe my problem isn’t Skeptical Science so much as the human race. The statement about Mr. Cook is unlawful because the word “filthy” does not pertain to the factual part of the claim the blogger has uttered. The word “filthy” can be construed as malicious, whereas the word “liar” is merely a statement that Mr. Cook has deliberately and knowingly written something that is contrary to fact. I suggest that the author of this blog should delete the word “filthy” and apologize to Mr. Cook. He has a qualified privilege to use the word “liar” provided that he does so in the public interest and not as an expression of malice. I could just happen to know John Cook doesn’t shower often. SkS is one of the pro-AGW sites that people John N-G hold upas one of the good cliamte sites. Ironically, it probably is one of the best in that group. 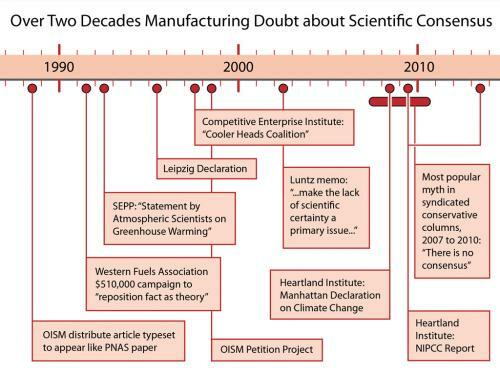 The fact Skeptic Science is held up as a great resource by the global warming movement is one of the more damning aspects of the global warming movement. I’ve said this before, and I’m sure I’ll say it again. If I thought global warming were a serious threat, the first thing I’d do is tell people like John Cook and Michael Mann to shut up because they’re endangering my offspring. If I thought global warming were a serious threat, the first thing I’d do is tell people like John Cook and Michael Mann to shut up because they’re endangering my offspring. What’s the second thing you’d do, other than saying shut up? It seems likely this is trolling given it was made with a fake e-mail address, but it’s an interesting question nonetheless. After telling people who are harming the global warming cause to stop, I’d probably try to get a resource made which could inform people about global warming in its entirety. My thought is a wiki like resource (without the option for editing by the public) which covered all the various aspects of the global warming issue would do more to encourage action than anything else. It’d allow people to look up whatever information they wanted in a central location. They could find all the resources they might need on any topic with just a quick search and a few clicks. And if they didn’t believe something was true, they could look and easily see why other people do. There are a ton more details for that idea, but you should get the point. As it stands, if a person wants to get educated on global warming, they don’t have a viable learning path. They’ll be stuck doing a lot of random internet searches or stumbling through near-random links in the hope of learning things which should be laid out plainly and simply. After telling people who are harming the global warming cause to stop, I’d probably try to get a resource made which could inform people about global warming in its entirety. After informing people, how would you respond to the inevitable accusations that you’re a filthy liar harming the global warming cause? 1) You ask what I’d do “[a]fter informing people,” yet the quote you offer doesn’t say anything about me informing anybody of anything. 2) You claim there would be “inevitable accusations,” yet you provide no reason such accusations would be expected, much less inevitable. 3) The only person accused of being a “filthy liar” is the one running a site which has, as demonstrated in this blog post, engaged in blatantly dishonest behavior. A point not mentioned in this post is the Skeptical Science team started discussing this post about 48 hours ago, and it still has done nothing about the fabricated quote. Knowingly allowing a fabricated quote to stand is dishonest. As such, if someone accused me of being a “filthy liar” because I refused to acknowledge having fabricated a quote, I’d respond by acknowledging the problem, fixing it and apologizing for it. Like any honest person would. Ultimately, you’re just misrepresenting the situation to pretend John Cook and/or Skeptical Science is a victim of attacks rather than a dishonest party being called out on its dishonesty. It seems clear my earlier assumption, that you’re trolling, was correct. I wonder if the SS kidz have started an extra-secret forum—in yet another NO GERLS ALOWED cubbyhouse, a few branches further up the same tree—to discuss the urgent question of who’s been telling the enemy about the contents of their less-secret secret forums ;-). That would be funny. I doubt it though. Why set up a forum when they could just use e-mail for that purpose? Plus, it’s not like I’ve displayed any real knowledge of the contents of their forums. All I’ve said is I know they’re discussing this topic. For all they know, I just got an e-mail which said, “Hey, we’re talking about your post in our forums.” Plus, I haven’t even attempted to hide how I know about the discussion. Asking me directly might work better. By the way, I’d normally tell you not to use SS as an acronym for Skeptical Science. I think the connotation is offensive, and I don’t want off-topic hostility. Mocking people for the things you’re discussing doesn’t bother me, but mocking them just in general does. I’m not going to though. The way I see it, once you start photoshopping yourself into Nazi imagery, SS is a fitting nickname. It’s a question of meaning; “John Cook is a filthy teller of lies”, or “John Cook is a teller of filthy lies”. Are you moderating comments here? Not comments in general. Just the first time you comment. Please don’t put me on the same heap as Cook. We have had long discussions on this issue. I failed to convince you, and you failed to convince me. I ended the discussion because we were going around in circles, wasting time. Yes Brandon, don’t put me in the same heap as Cook. I’ve written several comments trying to explain my point of view, and fighting with you. That’s different from Cook. And there’re no problems with the human race. Tol himself changed his original interpretation of skewness and scedasticity which I didn’t fully get either. But the metrics he uses are valid tools to assess survey processes. And, importantly, I re-examined Tol’s findings and I believe I have an explanation for them. For another thread though. Shub Niggurath, if you believe what Richard Tol wrote wasn’t obvious nonsense, you’re welcome to comment on the post I detailing why it is. I believe the post is quite clear and the explanation simple. If it’s wrong, it should be easy to show. I prefer the use of “SS” for his web site but “Sure Krazy $hit” SKS works for me also. I spewed over mt monitor reading your joke! But then Pond Scum looks good compered to most of the Chicken Little Sites. Of course that is not a situation we can anticipate because there is no way to tease human influence out of Natural Variations. AGW, Global Warming, Climate Change have never been “Theories”. They do not even reach the level of “Testable Hypothesis”! Sks? LOL. I never thought you would see a more dishonest group then politicians, but these clowns take the cake by a factor of 20,000. They do not present any data that is not manipulated beyond comprehension, and openly use the 1951-1980 baseline. Thankfully most people now realise such a baseline is a complete joke. And then there is 4 hiroshimas. The problem here is not that they are cartoonists and whatever else, the problem is they are being payed obviously to sprout nonsense for a dying cause. They failed to mention this too I see. I think everyone should just continue reblogging their refusal to own up to fabricated information, shows how dishonest they are. In any case they say there is no pause, then Kevin Trenberth writes a piece and says there is. I released some comments from moderation. Sorry for the delay! Aristotle took the first step in the scientific method as described by Richard Feynman – he “guessed” his model. It was not until Galileo that Aristotle’s model was tested – and found wanting. Hopefully John Cook’s followers will promptly test the models and not wait two millenia. Who knows, even John Cook could turn 180 degrees and find the Truth before he has to face the consequences of his actions. Mod Edit: Replaced the embedded video with a link because it was taking up too much space. I suggest that the alarmists examine the Milankovitch Theory which was embraced by the U.S. Academy of Sciences in 1976. Go to NASA Earth Observatory or Hays et al.1976, It might be a bit too technical for skeptical science to understand though. Unfortunately by then Hodren and Erhlich were already preaching the gospel of global cooling and that was where all the funding was directed. Eisenhower had warned us not to be captured by the scientific elite.